Agrani Bank Limited has been implemented “Queue Pro” (Queue Management System) solution for managing their automated queue system as a part of their customer service quality improvement. Business Automation Ltd. has been implemented the solution to their prestigious branch Rajshahi University Branch, Rajshahi University, Motihar, Rajshahi-6205 to enjoy excellent customer experience. Agrani Bank Limited, a state owned leading commercial bank with 953 outlets strategically located in almost all the commercial areas throughout Bangladesh, overseas Exchange Houses and hundreds of overseas Correspondents, came into being as a Public Limited Company on May 17, 2007 with a view to take over the business, assets, liabilities, rights and obligations of the Agrani Bank which emerged as a nationalized commercial bank in 1972 immediately after the emergence of Bangladesh as an independent state. 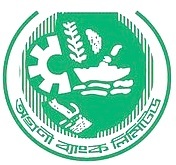 Agrani Bank Limited started functioning as a going concern basis through a Vendors Agreement signed between the ministry of finance, Government of the People’s Republic of Bangladesh on behalf of the former Agrani Bank and the Board of Directors of Agrani Bank Limited on November 15, 2007 with retrospective effect from 01 July, 2007. More….